It’s kale season! Yay! Honestly, I could eat kale every single day, and this easy gingered kale recipe is a frequent star in our kitchen. What I love about this particular recipe is that you can serve it up hot tossed with some tofu and soba noodles or cold as a side dish with just about anything. It also makes a great sandwich stuffer with a little sliced avocado and tomato. 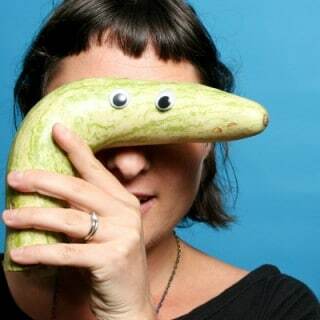 Maybe a little Vegenaise? YUM! Not only is kale super versatile and delicious, it is insanely healthy. Like I mentioned when I shared that quinoa and kale salad recipe, kale is a superfood, which means it’s extremely nutrient dense. On top of healthy vitamins and minerals, kale actually has a decent amount of protein! I know when you think of vegan protein you picture nuts, seeds, whole grains, and soy products, but a cup of cooked kale has two grams of protein, so if you pair it up with other protein sources like the sesame seeds in this recipe, you’ve got yourself a pretty protein-packed dish! It's kale season! Yay! Honestly, I could eat kale every single day, and this easy gingered kale recipe is a frequent star in our kitchen. Add the kale, garlic, and ginger, and cook, stirring constantly, until the kale turns bright green. Add the soy sauce and Sriracha and cook for a few more minutes. Transfer to your serving bowl and toss with the lemon juice and sesame seeds. PS – If you’re wondering about the super freaking adorable lucky cat tea towel underneath that bowl of kale, it’s from a Savannah, Georgia crafter called Lovelane. Their stuff is amazing! I’d say about 3 days. I love kale. I have all of these ingredients in the kitchen. I think I will try tonight. Thanks, you guys! I am super excited about kale season!! 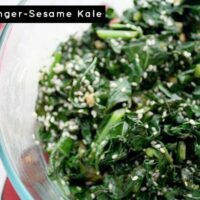 Kale & sesame ginger in a salad? Yes please! Love that it can be either hot or cold! 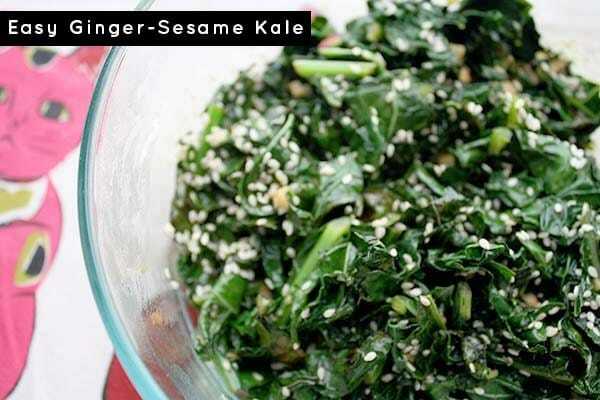 I love kale, and also all things sesame-ginger. This sounds delicious.